Hello everybody and Happy Friday! I've got a quick and simple card for you today! I fell in love with a stamp set in the upcoming Occasions catalog and knew I had to get it! It's a set specifically designed to make monograms! Monograms are so hot right now (haven't they always been??) 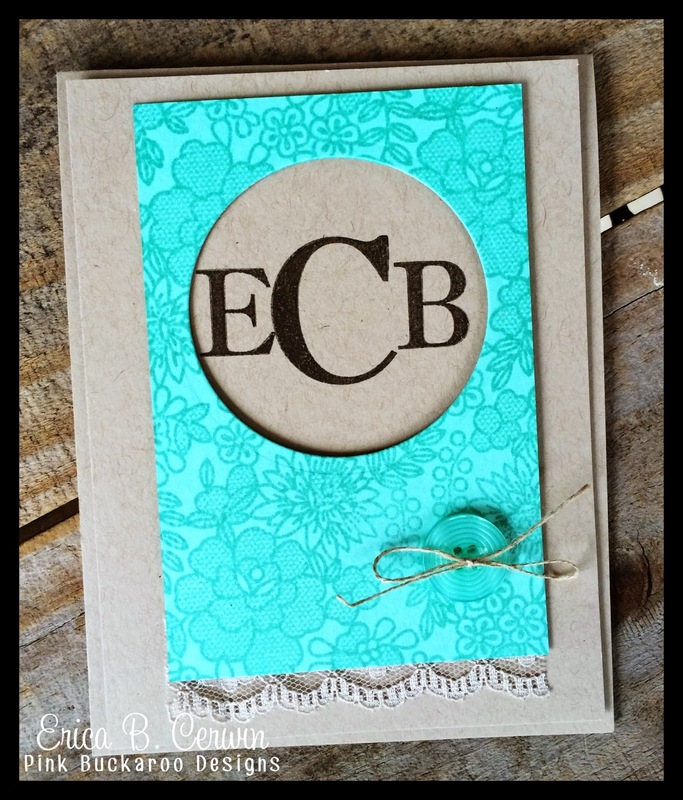 So, I made a simple monogram card for next month's Simply Beautiful class. WOuldn't these be easy and fast to make a set of for someone as a gift!! Yes! Did you spot the other new things on this card? A background stamp and new lace! Oh, and Sale A Bration buttons!!!! So fun!! Another great thing about Sophisticated Serifs is that it is Photopolymer which means you can see where you are stamping! Hooray!! Ok, I'll be back tomorrow! Hope you have a Fantastic Friday! Check out details for all classes here! fancy (over the top) cards and a PDF instruction manual. 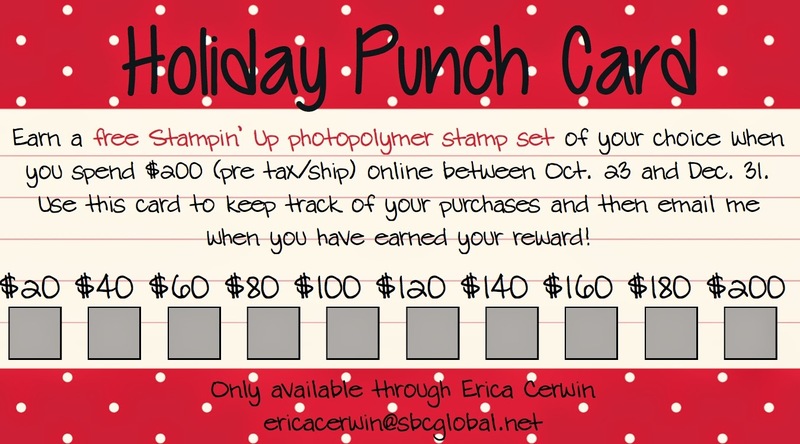 Have you heard about my Holiday Punch Card? Purchase $200 in SU products between now and December 31, I will gift you with a photopolymer stamp set of your choice! Purchase all at once or a few orders at a time. Keep track of it at home and email me when your punch card is full!